Our Senior Cabin Leaders carry primary responsibility for our campers. They also take leadership over all program and skills areas of the camp experience. Each Senior Cabin Leader is teamed up with a Junior and a cabin of campers. 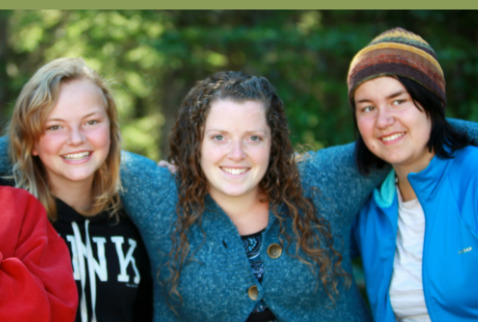 Senior Cabin Leader applicants must be at least 18 years of age and should enjoy working with children. Each team of cabin leaders will assist in bringing the fun into their cabin's week of camp, participating in every aspect of the week-long experience. Click APPLY NOW or use the scroll bar to the right for more details. 1.Minimum 18 years of age and high school graduate. 2.Willingness to learn and grow as you serve our campers. 3.Attendance and involvement within a local church. 5.Participation in pre-season staff training retreat. See staff application form for details. 6.Notification of program withdrawal a minimum of 30 days prior to start-date. - Three balanced meals and an evening snack, each day. - Directors free staff tuck, Monday through Friday. - Skills in servant leadership, through team ministry.